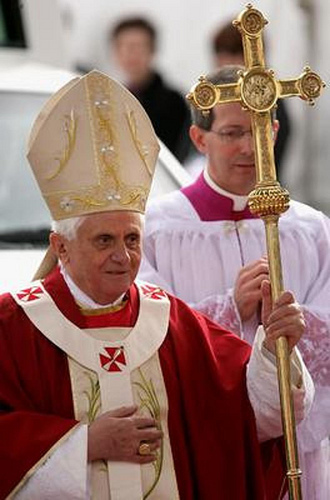 ROME (AP) — Pope Benedict XVI decried Monday what he called "growing aversion" to the Christian faith in the world. The pontiff in his homily in a Rome basilica didn't single out any geographic area, but his worry about the plight of the Christian minority in the Middle East will shape discussions Mideast bishops will hold later this year at a special meeting at the Vatican. The Vatican has repeatedly expressed concern about the flight of Christians from the overwhelmingly Muslim region as well as about the religious discrimination that many of those who remain are suffering. Photo from Flickr user sam_herd.